Patricia Linhart is the co-founding director of Carnegie Opera Theatre and a resident artist with Human Race Theatre Company in Dayton, Ohio. 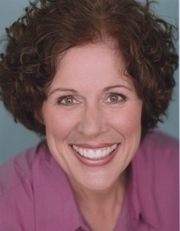 She taught voice at Cincinnati's School for Creative and Performing Arts and has also taught at St. Norbert College, College of Mount St. Joseph and CCM's Preparatory Department. She has performed in opera, oratorio, musical theater, dramas and industrial films. She has sung with Cincinnati Symphony, Dayton Symphony, the Kentucky Symphony Orchestra and the Cincinnati Pops under the direction of Erich Kunzel and Keith Lockhart, and has taped concerts for PBS Broadcast. Her performance credits include the National Opera Company, Duke Opera Festival, Whitewater Opera Company, Lyric Opera Cleveland, Cincinnati Opera, Cincinnati Playhouse in the Park, Ensemble Theatre of Cincinnati, Birmingham Theatre, Light Opera of Manhattan and numerous dinner theatres and concert halls. She was a member of the inaugural company of CCM's Hot Summer Nights as well as a member of AEA, AGMA, SAG and NATS.